Eintracht Frankfurt have announced that they have completed a deal to sign Mexico international Marco Fabian upon the opening of the winter transfer window on 2 January 2016. Fabian arrives at the Commerzbank Arena from Chivas Guadalajara on a deal valid until 30 June 2019 and becomes the second Mexican currently plying his trade in the Bundesliga, alongside Bayer 04 Leverkusen star Javier 'Chicharito' Hernandez. "I'm really excited about the new challenge," Fabian enthused. "It's a real honour to wear the No.10 jersey and I'll do everything I can to do the shirt justice. I want to integrate as quickly as possible and work hard so that we're successful." 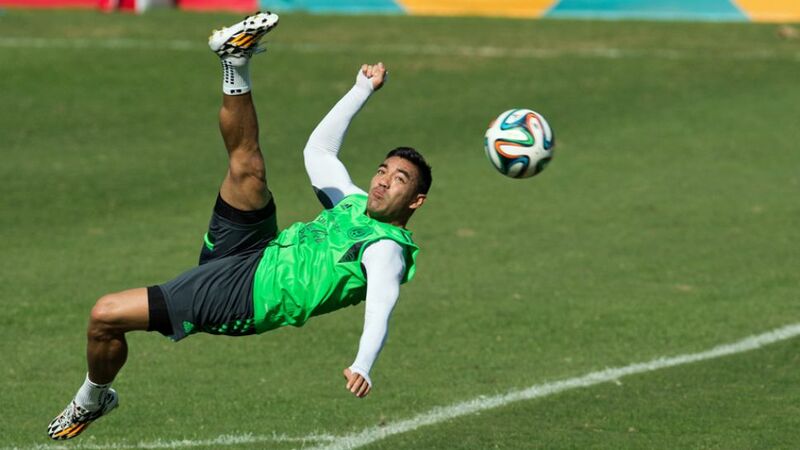 The versatile attacker has made 27 appearances for El Tri, scoring six goals and featuring at the 2014 FIFA World Cup. The 26-year-old has also netted three goals in 13 games for Chivas in the Mexican top flight so far this season.